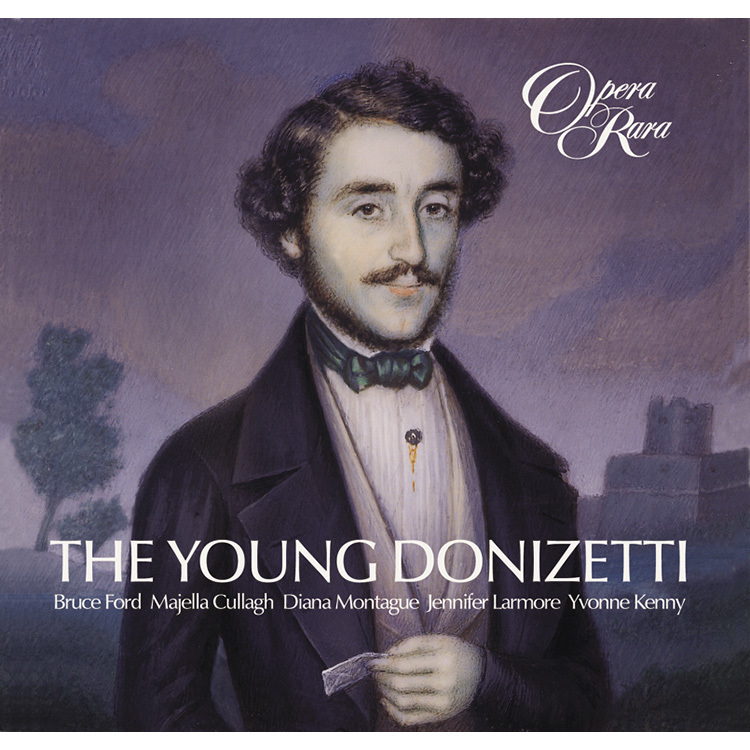 While Donizetti may have received isolated recognition in his earlier years, it was only with Anna Bolena (Milan 1830) that he won over musical Italy as a whole heralding the beginning of his truly international career. 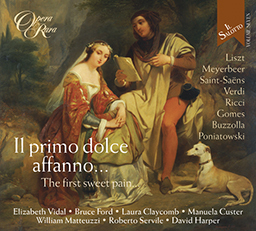 While Donizetti may have received isolated recognition in his earlier years, it was only with Anna Bolena (Milan 1830) that he won over musical Italy as a whole heralding the beginning of his truly international career. This disc of selections from earlier works gives the listener a surprising view of the young composer perfecting his craft. 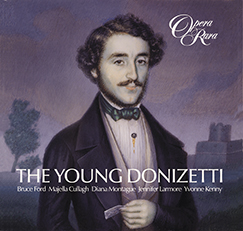 Included are twelve selections from the period 1818, when his first opera was staged, to 1828. all the operas represented here, though forgotten, show us that Donizetti’s genius had begun to flourish much earlier than with the success of Anna Bolena. We can witness a young composer constantly experimenting with modes of expression that will be true both to the situations he is setting to music and to his own artistic sensibilities. 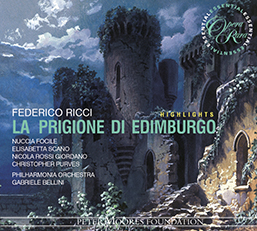 This disc includes a ravishing duet from a not yet issued complete recording of Donizetti’s one-act opera Elvida, featuring the French soprano Annick Massis and the American mezzo-soprano Jennifer Larmore. 07 Zoraida di Granata, Act I: Cavatina: Era mia ? mi amo ? l’amai ?